I was 16 and anxious. When I opened my first credit line it was from RC Willey, a home furnishing store. Their credit accounts were also accepted for purchases at Big O’ Tires. Being 16, of course cars were life. 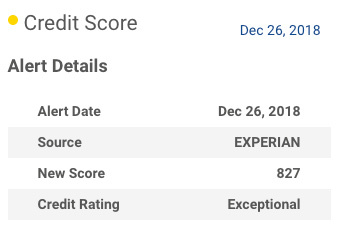 That credit line used to buy new tires would also help me build additional credit, because I wanted to buy a new vehicle in the near future. That website led me to learn web design. Which led me to learn internet marketing. And the 800+ credit score? That’s a bonus that has put unlimited resources to grow the company even more in the palm of my hands.